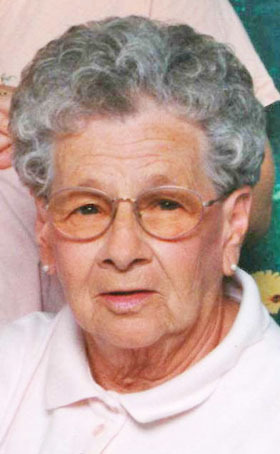 EAST PALESTINE — Margaret L. Reynolds, 92, a lifelong resident of East Palestine, died Thursday at the Hospice House in Poland. Margaret was born Sept. 28, 1926 in New Waterford, the daughter of the late Willis and Helen Bevington Gotthardt. She was a 1945 graduate of East Palestine High School and retired from Westinghouse after 25 years. After her retirement, she went on to work as a cafeteria aide for East Palestine Elementary School. Margaret is survived by a daughter, Sharyn (John) Pickens of Columbiana; two sisters, Mary Lou Piepenbrink and Audrey Elwonger, both of East Palestine; two grandchildren; four great-grandchildren; and three great-great-grandchildren. All services will be private at this time.